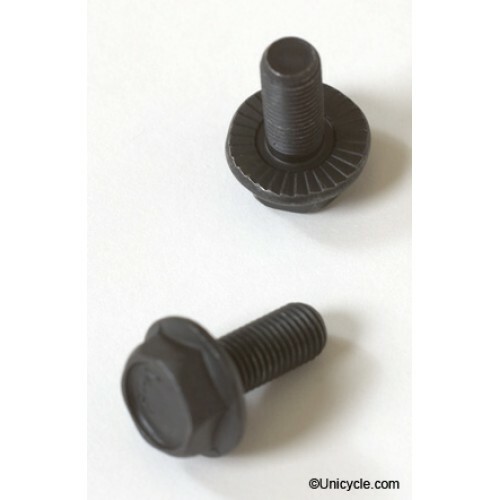 Replacement bolts to fit Unicycle.com CroMo cotterless hubs. M8 thread for 14mm wrench. Sold in pairs.